Hawthorne Elementary students and community members had lots of ideas and suggestions for features of the planned replacement school. 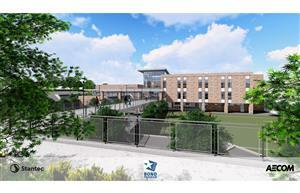 70,000 square-foot Roosevelt High School improvement project now in procurement phase. Community members are invited to a bond community meeting at 6 p.m., Monday, May 21, for an update on planned renovations for the campus. The community should soon see fencing, equipment and activity at the school marking the beginning of construction on the building renovations and addition. The W.T. 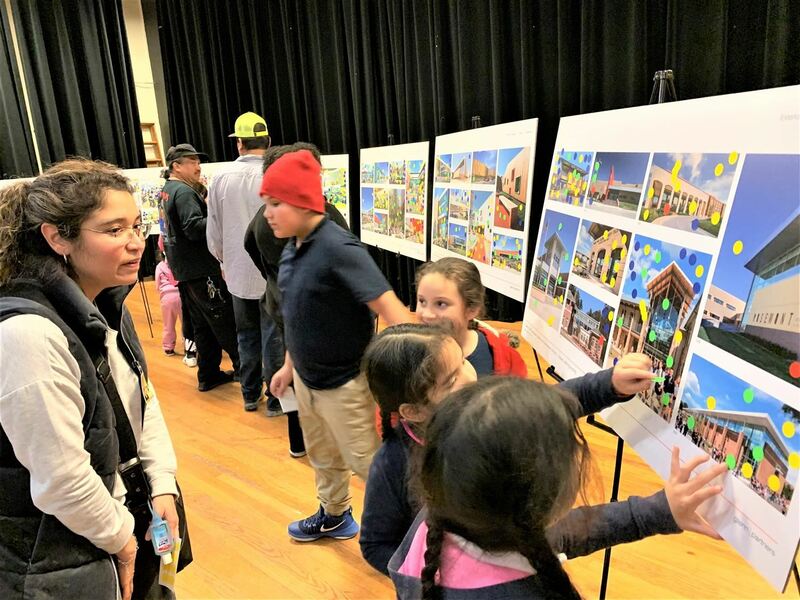 White community welcomed construction updates at a recent community meeting that detailed coming improvements to the north Dallas campus. A new regulation governing Dallas ISD policy on criminal background checks and contractor badging brings the district into parity with other area school districts and may increase the labor pool for bond program construction projects. 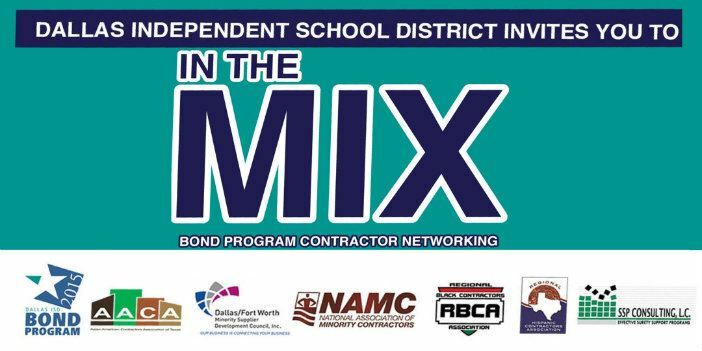 Dallas ISD’s Minority and Women Owned Business Enterprise (M/WBE) team is spearheading a contractor networking event Thursday, Nov. 9, 2017, at the Dallas County Schools Technology and Training Center to share information and promote strategic partnerships between general and subcontractors that can lead to participation in the district’s $1.6 billion bond program. Newly refinished tennis courts, updated scoreboards and audio systems, new turf and lighting are just some of the improvements in the works for district athletic facilities. 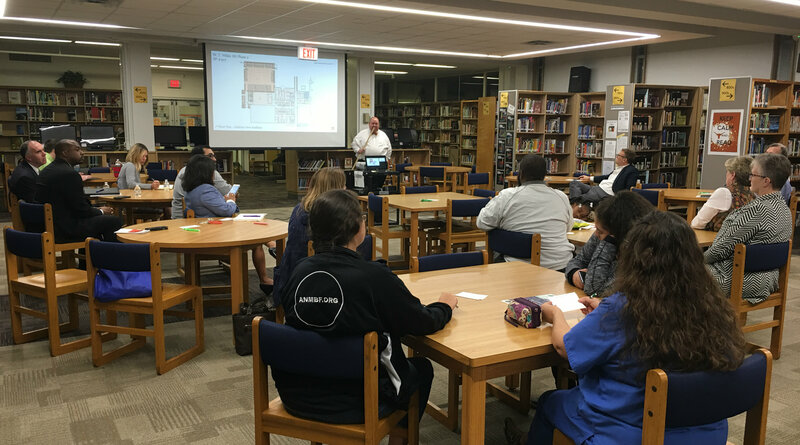 A recent community meeting featured a briefing for parents and community members on the construction of a new classroom addition and other improvements coming to Lakewood Elementary with funds from the 2015 Interim Bridge Plan and the 2015 Bond Program. Parents and community members served by B.H. 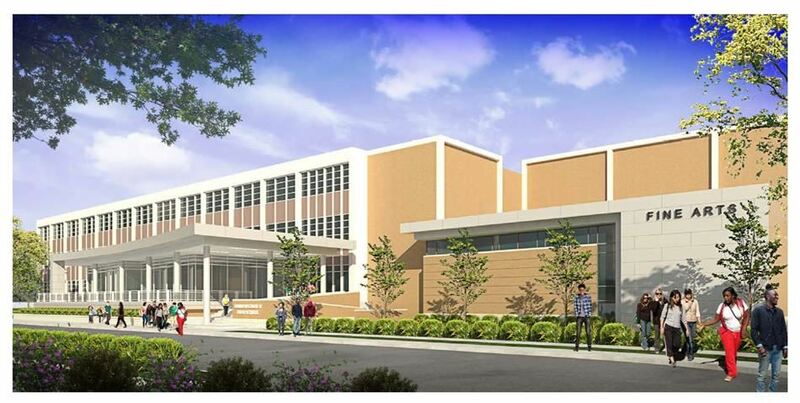 Macon Elementary School and Thomas Jefferson High School are invited to upcoming community meetings to learn about proposed bond improvements at their schools. Trustees have approved the temporary relocation of South Oak Cliff High School students and staff to the district’s campus at Village Fair to ensure their safety during renovations set to begin in December. On a construction worksite, where individual worker’s decisions can impact the safety of the entire team, promoting a culture of safety is an ongoing job. Workers are trained, supplied protective gear, observed by supervisors, and surrounded by reminder signage. 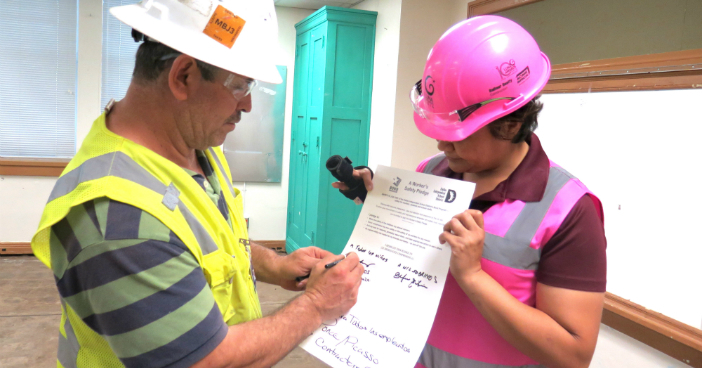 As an added measure, the Worker's Safety Pledge asks for a personal commitment to job site safety. One of Dallas ISD’s southernmost high schools is counting on the 2015 bond program to help address its growing pains. Administrators at Seagoville High School expect 85 teachers and 1518 students in August, up from an enrollment of 1355 in 2016-2017. The anticipated growth has Principal Angela West and her administrative team considering some creative maneuvers to create additional classroom space. 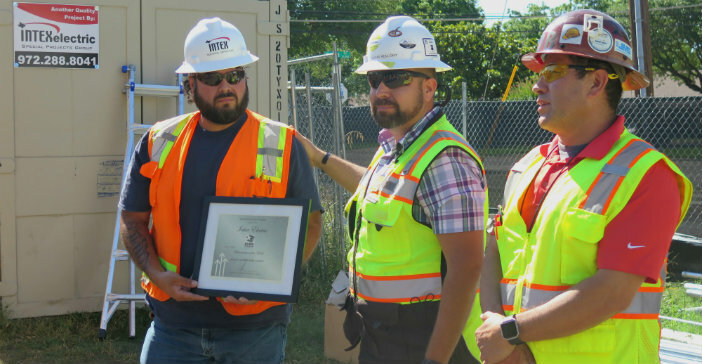 To keep safety front of mind among the dozens of contractors working on school and facility improvement projects, each month the district’s bond safety director recognizes a jobsite team that has demonstrated an exemplary record of safety. J.L. 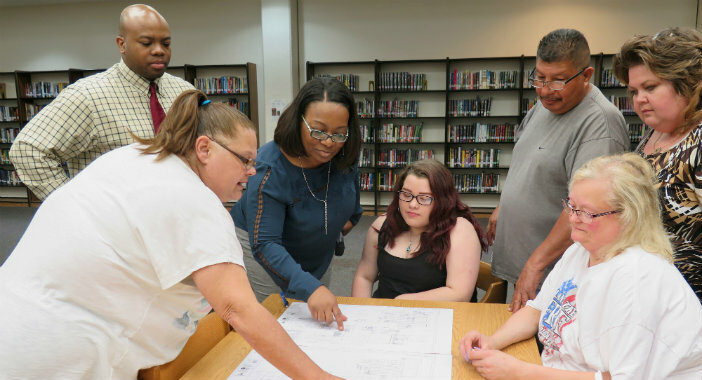 Long Middle School and Woodrow Wilson High School parents and community members were briefed Wednesday, April 12, about construction plans, proposed zoning changes and traffic route revisions related to future bond improvements at the two schools. 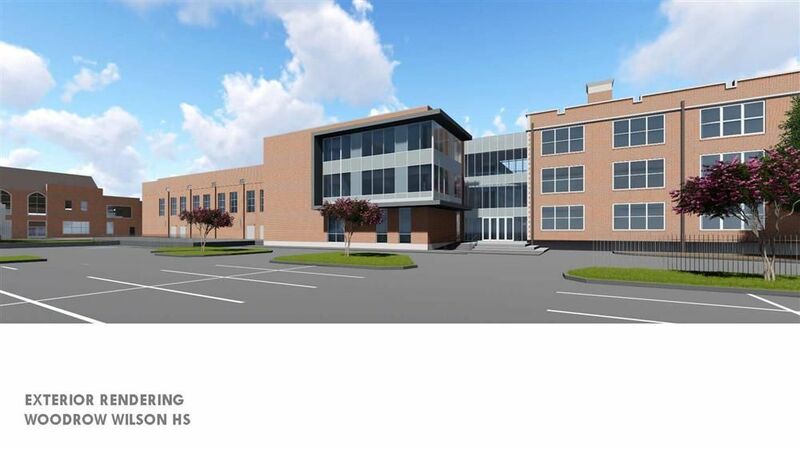 Architects presented renderings detailing $11 million in improvements at Long and $20 million at Wilson. The construction safety orientations are held Tuesdays and Thursdays, 7:30 to 9:30 a.m.
You must have your badge to attend this orientation. Questions about the meeting and other safety matters related to the bond program should be directed to Dallas ISD Bond Safety Manager, Alvaro Meza at C52113@dallasisd.